Developing electricity, a water distribution system, sewage system and a bridge for a new “Habitat for Humanity” “urban” community. 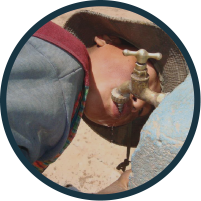 Habitat for Humanity is creating a new community a few miles from the large city of Tarija in Southern Bolivia. This community will have 100 homes for homeless urban dwellers, built by Habitat for Humanity, in a planned community near Tarija. Habitat contacted EIA and EIA is partnering with EWB-Missouri University of Science and Technology to bring the infrastructure needed such as sewage, potable water, and electrical lines. EWB-MST had their Assessment trip in November 2008 and their first Implementation Trip in 2009. 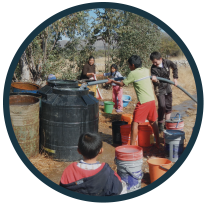 In 2010 they will be bringing electricity out to Erquis Sud from Tarija, drilling a potable water well, building a water tank to hold the water, building a water distribution system, begin designing a sanitation system, and begin looking into a foot bridge over a river. EWB-MST will be involved with Erquis Sud until at least 2012 and perhaps longer. EIA, of course, will stay involved indefinitely.